At some stage most Project Managers will be asked to step into a project that is in crisis. You will be asked to save a failing project or rescue a project that is in deep trouble. Your role may be to do a project health check or to lead the rescue attempt. This is the first of three parts. The first white paper discusses some of the things to consider before you start. The second will cover a health check and the third what to actually do when you undertake the recovery. Many rescue efforts fail because there is no clear understanding of what is expected. Even worse, there are mixed expectations. To illustrate the point, consider something more visible. Disaster relief can be highly inefficient if different organisations are falling over one another trying to do the same thing, or not clear who has responsibility for what. A model for disaster relief is emerging in Europe that has a central authority comprising various aid agencies. Their role is to work out what needs to be done, and which agency is best equipped to do it. If you are asked to step into a project, it should be made clear what you are expected to do. It should be documented and agreed by the Sponsor or person responsible. It should be made available to all so that everyone knows what you are there to do. Your authority to access information. For example do you have access to confidential contracts and all financial information? Your ability to receive information in confidence. Do you need to pass on all gathered information to management or can information be provided in confidence? The level of cooperation expected from participants. For example, should participants make themselves available as soon as possible to discuss the status with you? It may be in certain people’s interest to be too busy to talk with you for the next month. What support will be provided. Who is going to assist you in getting the information together and with administrative tasks? The expected outcome. Are you expected to report on the status, provide recommendations, implement solutions, etc. How much control you have over the findings. I have seen many reviews rewritten to protect the guilty. I always insist that my report is preserved as I write it. This usually means that it goes to the Sponsor and the Sponsor determines how widely it is circulated. If an edited version is produced, I insist that editing is to remove sections that may not be appropriate to certain people. For example financial or contractual information may not be for wider distribution. I will not participate in changing facts within the report to protect certain people. If the organisation insists on rewriting the report, I insist my name is removed. Constraints. For example, can staff be replaced? Can the scope be re-defined? Can the project be cancelled? Timeframe. What are the milestones for the review and development of a path forward? Interim activities. Gaining an understanding of the project will not normally happen in a few hours or even a few days. It may be some weeks before a review can be completed. In that time, does work continue, or should people be temporarily redeployed whilst the review is undertaken? A colleague who has been called in to do health checks on many occasions was telling me recently that what usually happened is that after pointing out the problem, he is asked to fix it. I have had the same experience in spite of being told at the start I was just to review. Be clear if you are interested in leading a rescue mission or not. Make it clear to the Sponsor at the very beginning if you are not interested. The worst that can happen is that they are so impressed with your report, they offer you an exorbitant amount of money to fix things! Undertaking such a review can have a personal cost - both emotionally and career wise. A few years ago I was asked to work with a client I had worked with in the past to carry out a review of a project. The findings were highly critical of many aspects of the company including the Project Manager and the support he received from the Senior Executives. The results of the review were not challenged however they were painful to a number of people. They had hoped that it would all be swept under the carpet. Unfortunately I did not oblige. The result is that since then, I have had no more work from the company. Do I regret telling it like it is? Not really. I went into the review knowing that is was probably not going to be a pleasant outcome and there was the risk of a dead messenger. At least I can point to the organisation and say it is a statement of my integrity. I don’t particularly want to write reports that shift the blame from a project participant’s inability to manage the project, to my inability to analyse the true situation. Cover ups have a tendency to come home to bite you in the long run. Often the organisation is looking for a scapegoat. At least they are looking for someone to blame for the current problems, and often it is the puppet rather than the puppet master that gets the blame. The Divisional Manager was moved sideways into a role with the same title but nowhere near the same responsibility. This was in the days where redundancy was a last resort rather than a normal part of the business cycle. In a corporate sense, it was probably the right thing to do but the two never spoke again. Leading a project recovery exercise is not necessarily an exercise in conciliatory decision making. When the ship is sinking, nobody wants to form a committee to determine the lifeboat arrangements or how to plug the leak. The person who shouts “Follow me!” with the most authority is likely to be followed. Someone who can take command and lead from the front is an excellent person to have on board in most situations. There are exceptions. If the problems relate to a breakdown in relationships and communication, an approach based on cooperative decision making can often be the most effective. You need to understand – at least at a high level – the reasons for the problem. It hardly needs saying but the person undertaking the review is likely to be a highly experienced project manager. They should have both a theoretical and a practical knowledge of what to look for in a project. They should have a clear understanding of Project Infrastructure. Project infrastructure is all the supporting tools, processes and templates that support an organisational project. If something has gone wrong, it is likely someone will want to hide it. Even more likely is that there will be questions some people want to avoid hearing much less answering. The person undertaking a review needs to be skilled at extracting information and cross checking observations. Here are some questions you might want to add to your repertoire. What documentation is relevant to understand the project? Who performed well in the project? You did not mention ….. When did you first think it was coming unstuck? What were the big differences between the project team and the business? How interested was ….. in the project in the early days? Did the outcome/scope/timeframes change much? To resurrect the project, what needs to be done? Do the steering committee/sponsor/project manager still have the confidence of most people? What has changed in the environment since the project began? Should the project be cancelled? 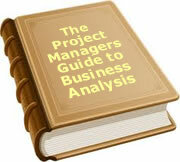 Many projects break down because of a misalignment between business and the project team. If it is an IT project, and the reviewer has a strongly IT perspective, the review will risk not getting business support. The person undertaking the review should be agnostic in terms of sitting in either camp. This is why the person doing the health check is often a consultant. The ability to present written information in a clear and concise manner is critical. A report such as this is a prime candidate for creative interpretation and misrepresentation. The author must be able to state the facts in an unambiguous manner and leave no room for misinterpretation. Looking at a project in crisis is not for the feint hearted. Ask yourself this question before you start. You will likely face all sorts of opposition from people with vested interests, or simply because so much of themselves is invested in the project. You may need to stand firm against significant forces. If you don’t believe you can do it, then best to back away from leading a recovery exercise or even doing a review. It might seem overkill to focus so much on the preparation for undertaking a rescue mission but hopefully you will see it is not an undertaking entered into lightly. It requires a certain type of person with certain types of skills to look subjectively at a project and determine if it can be rescued. The next part of our white paper will focus on what actually needs to happen. To date, 50 people have rated this article. The average rating is 4.02 - Add your rating. Just select a rating and click the button. No other information required.